On a lot of laptops, the numeric keypad is usually the first thing to be sacrificed in order to save space. For those of us who just can’t get used to using the numbers above the alpha keys, this concept is a stroke of genius. 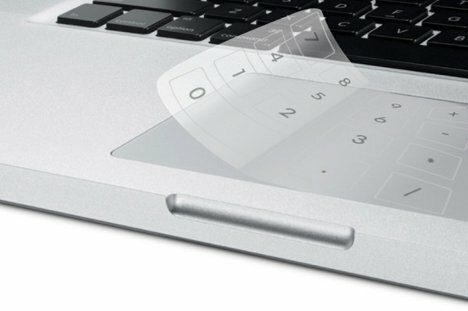 It’s called Number Pad Film for Touchpad – despite the cumbersome name, it’s a really clever object + program that makes it simple for even laptop users to enter long lines of numeric data. 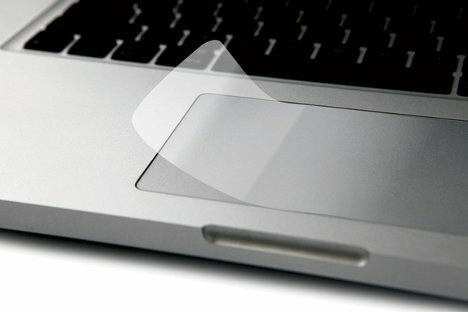 The Number Pad Film is a small piece of plastic film that fits on over a laptop’s touch pad. Accompanying software maps out locations of the virtual “keys” on the touchpad. Switch to the number input with the use of hotkeys and math away to your heart’s content. Another activation of the hotkeys sends the touchpad back to its original function. 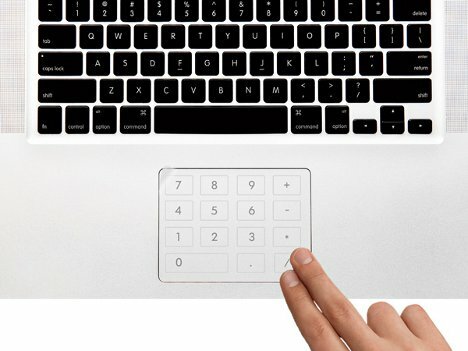 The virtual keypad lacks the tactile feedback of a physical numeric keypad, but people who do plenty of touch typing on numeric keypads might not mind. They’ll probably just be grateful to have the freedom to compute stuff without hunting and pecking on the top row of the keyboard. See more in Computers or under Gadgets. January, 2012.